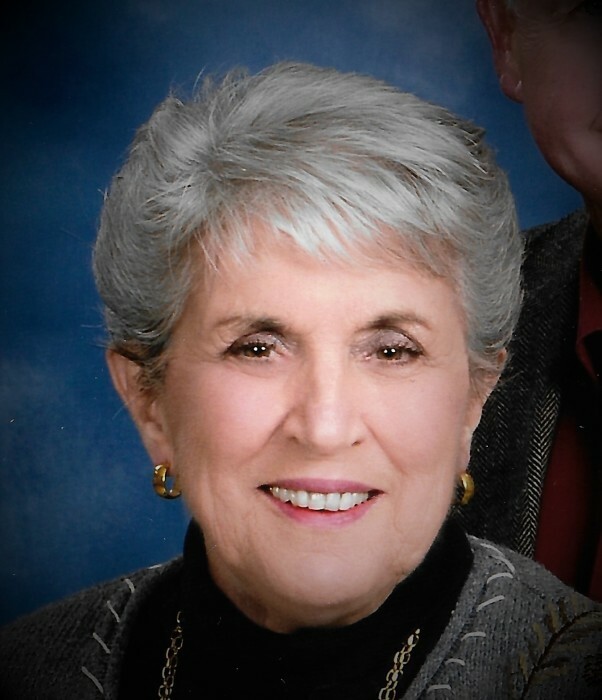 Judith “Judy” Ann Dau, age 77 of Chadron, passed away on Monday, January 28, 2019. She was born in Chadron on March 19, 1941 to Joe and Dorothy Blundell. Her memorial service will be held Thursday, January 31, 2019 at 1:00 pm at Grace Episcopal Church with Fr. John Adams officiating. Inurnment will be held at a later date. She attended school from kindergarten through 12th grade at Chadron Public Schools and graduated with the Chadron High School Class of 1959. Judy was very active in Pep Club and Drama and was a representative at Nebraska Boys & Girls State. Judy had remained close to many of her classmates throughout the years and always looked forward to the class reunions. She was united in marriage to Orville Dau, Jr. on June 12, 1960 at Grace Episcopal Church, after being featured as the wedding couple in the Chadron Record Wedding Edition. To this union three daughters were born, a.k.a. “the Dau girls”. In October of 1962, Orville and Judy moved into their new home on Maple Street where she lived until a few days before her death. For almost 30 years they owned and operated O.J. Dau Plumbing and Heating, building a successful business. Judy’s father, Joe Blundell, opened Blundell Plumbing in 1938 at the 2nd street location, with Orville and Judy moving into the location in 1980, and it’s now owned and operated by Judy and Orville’s oldest daughter, Ann and husband, Brad, known as Hencey Plumbing and Hydronics. Judy was active in many organizations, including Beta Sigma Phi, PEO, American Legion Auxillary, Boys and Girls State, Chadron Culture Club, various Bridge card clubs, Chadron High School Booster Club, RSVP, Chadron Flower Mission, Dawes County 4-H, and was deeply involved in many aspects of Grace Episcopal Church. Orville and Judy were inducted into the Dawes County Agricultural Hall of Fame in 2013. Judy is survived by her husband, Orville of 58 years, daughter Ann (Brad) Hencey of Chadron, Jill (Larry) Grote of Burwell, NE, and Amy (Ryan) Carlson of North Oaks, MN. In addition, her beloved grandchildren and great-grandchildren; Danielle (Clint) Lecher (Liv and Cruz), Travis Hencey (significant other Amy), Rachel (Brandon) Girard (Riley and Landon), Taylor (Beth) Hencey, Gatlin Mack (significant other Crae) and Peyton and Gracie Grote. She is also survived by her sister, Marie (Milt) Holmgrain and George (Judy) Blundell and numerous nieces and nephews. Judy was preceded in death by her parents, Joe and Dorothy Blundell, sister, Betty Reed and brother Tom Blundell. The family wishes to thank all of those who cared for her in her last days, especially Chadron Home Health/Hospice and Chadron Community Hospital. A memorial has been established for the Grace Episcopal Church. Donations may be sent to Chamberlain Chapel, PO Box 970, Chadron, NE 69337.